I was catching up with an old friend over lunch. It lasted several hours! One of the things we discussed were relationship issues. When you have passed several tens age-wise, you just want things to be laid down for you - no games. So, I'm going to lay it down for you straight. Our stomach's relationship with apples and onions can sometimes get rough. If you're susceptible to stomach bloating, then eat this in moderation. Onions and apples are said to be gassy food. The effects are less when cooked. Still, it doesn't mean we should over-indulge ...unless it's chocolate. Then I say bring the wine out too and let's toast to a great year ahead. I wanted to keep the flavours as natural as possible so the seasoning was kept to a minimal. The end result is a wholesome blend of onion and apple gravy, with yummy chicken juices. 2) Slice apples, soak in lemon water. 3) Arrange apples and onions on baking tray. 1) Rub chicken with balsamic vinegar, soy sauce and ginger. Leave aside. 2) Arrange slices of onions and apples on a baking tray. Add a bit of water. 3) Place chicken on top. 4) Bake in a pre-heated oven for about 50 minutes at 170C, basting twice (after 30 minutes). 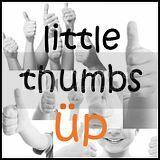 This post is linked to Little Thumbs Up event organized by Bake For Happy Kids with My Little Favourite DIY & hosted this month by I-Lost in Austen. 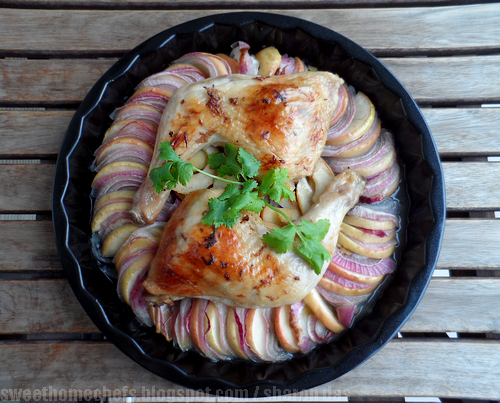 I really love the idea of using apples in baked chicken. This surely looks very delicious. Me too, Angie. I love fruits in savoury dishes a lot. 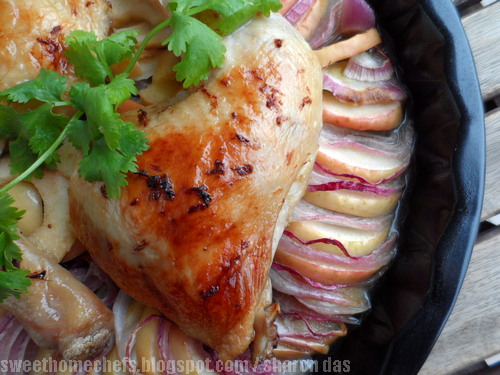 Such an interesting chicken dish...I like the apples...somehow, poultry with fruit is a nice combination. Thanks cquek. You're a wonderful blogger. Wow, that's a lovely presentation. 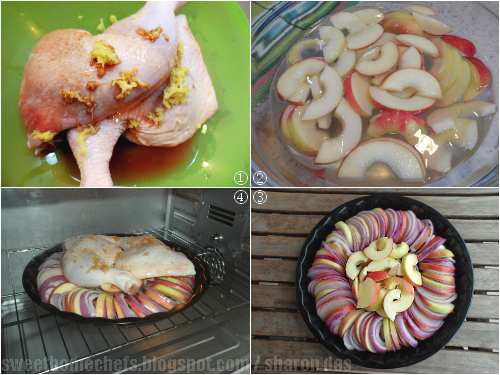 Never thought of cooking chicken with apples this way. So kind of you to share! They say sharing is caring, Sokehah Cheah ..and I care for a lot of people..lol!! never had this kind of apple and chicken before, definitely tempting to try!! the photograph is stunning too!!! Thank you - a lot of slicing involved! I see that you have put in a lot of patience and efforts to arrange sliced apples and onions neatly in your baking tray... Wow! This bake sounds very healthy to me. Aww...thank you Kumars and welcome back! You've been missed!